Microsoft's Windows Lite could ditch live tiles, streamline Start menu. The new operating system could look more like Windows 7 than 10. Rumors that Microsoft has been developing a simplified and locked down version of Windows for budget devices have been surfacing for a while now. First, the name “Windows Lite” was spotted in a Windows 10 SDK, and then reporter Brad Sams claimed he’d discussed it with Microsoft employees. Now it seems that in addition to structural changes, Windows Lite will also get an aesthetic change that includes dropping live tiles. According to sources that spoke with Windows Central, Windows Lite will feature a static app launcher in place of Windows 10’s Start menu, much like Chrome OS, Android and iOS. This means that Windows Lite will likely drop support of Live Tiles, a current Windows 10 feature that lets apps stream information in the place of its icon, like live weather information or how much unread email you have. Microsoft apparently has two reasons for cutting the feature: first, no one was using it. Very few users open the start menu to look at live tiles and this means that even major apps aren't focused on taking advantage of the feature. Second, the overall design language of Windows Lite will be simpler to reduce system requirements, and redesigning the Start menu is part of that. 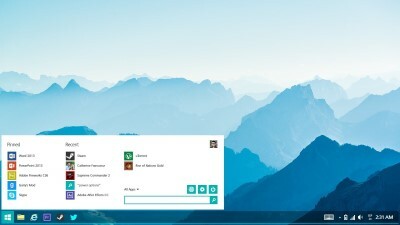 As shown in the concept image above, Windows Lite is likely to be more colorful and bring back some of the soft curves and comfortable feel of Windows 7. It’ll also bring back smooth performance on budget systems. Like Google’s Chrome OS, it is expected that Windows Lite will be designed for systems which may only have 32GB of storage or 2GB of RAM. To accomplish this feat Windows Lite may exclusively use Progressive Web Apps, which are apps that are built on a web browser, and Universal Windows Platform apps, which are meant to work on any Microsoft operating system from Windows 10 Mobile to Xbox. This will limit Windows Lite to just the Microsoft Store, but it will save on storage and provide a decent Windows on ARM experience.